The new affordable Moto handsets are almost here, reveals The Official Motorola Blog. Dubbed Moto C and Moto C Plus, these smartphones come with very low prices and might not hit the US anytime soon. Even worse, the US market might never get these handsets, although nothing has been confirmed yet. The Moto C is expected to come with 1 GB RAM, 8 GB internal storage, 2 MP and 5 MP cameras, and a 2,350 mAh battery. The list of available color choices includes white, black, red, and gold. Motorola Moto C Plus should come with 1 GB RAM, 16 GB internal storage, 2 MP and 8 MP cameras, as well as a 4,000 mAh battery. Motorola mentioned a larger screen, while most rumors claimed that both handsets would have a 5-inch display. 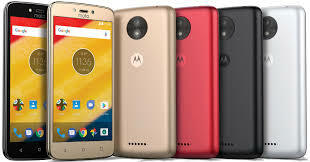 At last, the starting prices would be around $97 USD for the 3G-only Moto C (the 4G option is expected to cost around $12 USD more), while the Moto C Plus should start around $131 USD. Both handsets should hit Latin America, Europe, and Asia-Pacific "beginning this spring."